In a continuous push to purposefully spend more time with our family, RancherMan & I always look for opportunities. We have a tradition to drive to one of our kids’ homes once a month to have dinner together & spend the day with them. They fix whatever they’d be having for supper that day, but with two more servings to accommodate RancherMan & me. We bring something to go with the meal such as dessert, a side dish, or maybe a bottle of wine – hostess’ choice! Although we’d traveled to Surfside Beach before, our return trip was just as awesome. We all rented a beach house large enough to accommodate all 4 families and we stayed there with my parents, my sis & bil and my sweet niece & her hubs from Indiana. RancherMan was a fan of the beach fishing. But there was a gorgeous pier right outside our window too. Since we timed our trip for just outside tourist prime-time there were no crowds. SCORE! Mom & I spent some time walking the beach with my sis. (of course I always wore my UV-Protection Shirt too. Sun safety is important!) We were looking for beach treasures and we found many pretty seashells & also some odd orbs. 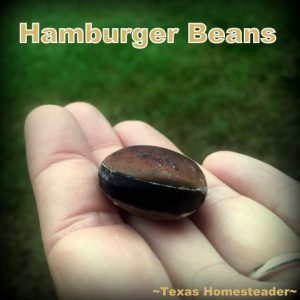 A quick google search shows they are called ‘hamburger sea beans‘. They’re the bean from a plant known to travel the oceans from as far away as the Caribbean islands. How cool! 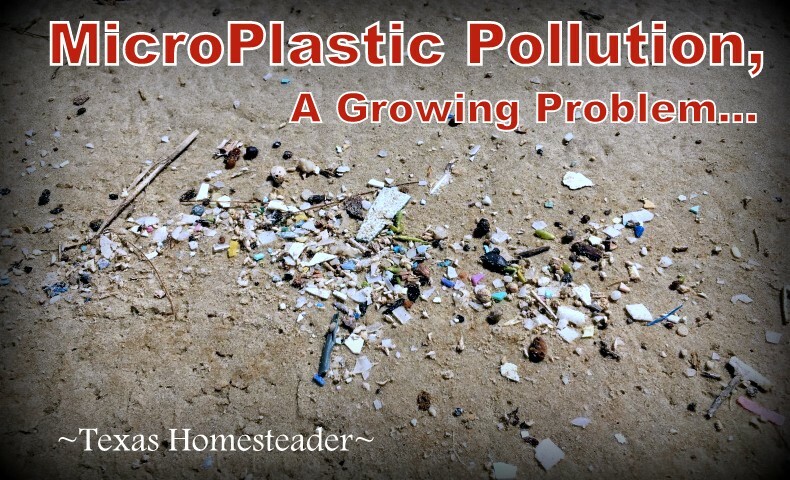 But we found something else on that beach – microplastics. It’s tiny fragments of plastic broken down into eensie small pieces. And it’s a big problem y’all. Such small pieces are really hard to clean up. And while the pieces are in the water fish are eating that plastic too. So the fish we eat has plastic in it too! On the other hand, what a great opportunity to have a casual conversation with my sis & mom about it. My sister is already very environmentally sensitive but she’d never even heard of microplastics. Knowledge is power! Now they’ll be able to share their newfound microplastic knowledge with those around them too. The ripple effect in action! 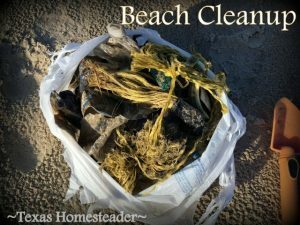 I used some of this beach walking time to take the opportunity to do a little beach cleanup. I repurposed a shopping bag I found to gather beach trash. There were plastic parts of all kinds, broken rope, tangled fishing line, bottle caps, plastic water bottles, broken flip-flops and more. Once again an opportunity to teach by example without any preachy off-putting speeches. We can all make a difference, y’all! And our actions show the benefit to others around us, so keep it up! Then mom & I used a metal detector to see what treasures we could find. Sometimes RancherMan joined in the hunt too. We even found some cold, hard cash to reduce our travel expense, y’all. Yep that’s right – a whopping $0.26! Cha-ching! LOL But we had lots of fun just spending time together walking on the beach. 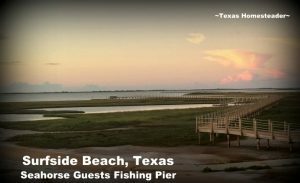 My BIL is a fishing aficionado – he spent every available moment on either the beach or pier fishing. And he kept the crab traps going too. He caught enough crabs to do a crab boil for all of us appreciative diners. It’s good to have a fisherman AND a good cook in your family! After several very fun days it was time for us to say goodbye. This is always my least favorite time of any trip, especially when it involves so much fun and so many people I love. But we all embraced each other and promised to get together again soon. Spend time with those you love, y’all. Time is short, and tomorrow’s guaranteed to no one! 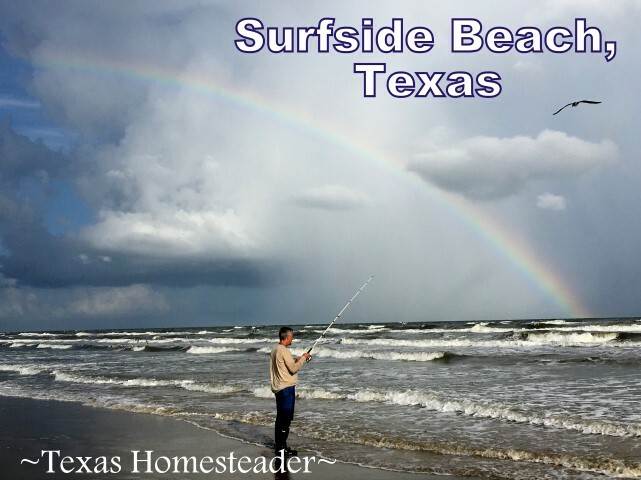 This entry was posted in Blog Posts and tagged Environment, Travel on October 11, 2018 by Texas Homesteader. A few years ago my wife and I, with our oldest and her husband and at that time 2 kids, rented a bungalow in Saint George Island Florida for a week. Had a great time, but now I’m wondering what happened to it in the recent hurricane, since it’s right off Apalachicola, right in the eye. I too used to enjoy surf fishing before I got old and feeble. Daughter since has birthed another son and has one in the oven. OMG!